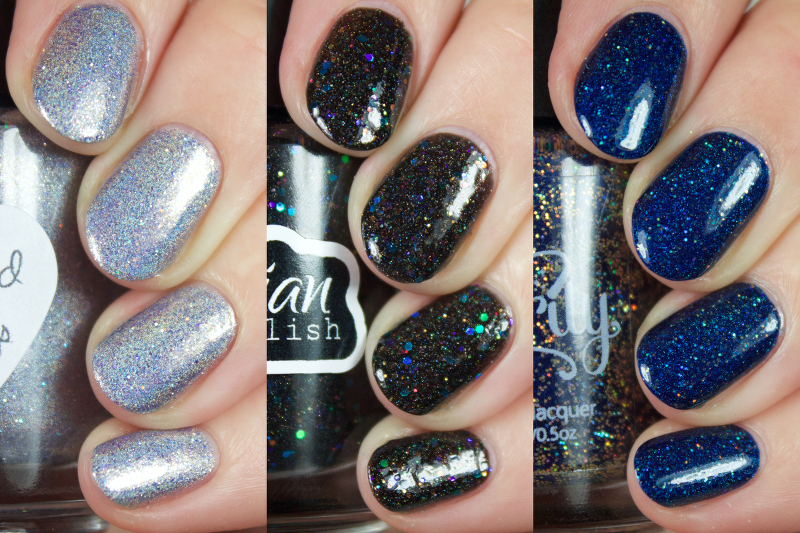 Out of This World is Polished for Days' polish for the box and is a silvery-blue metallic with tons of holographic micro-glitters. 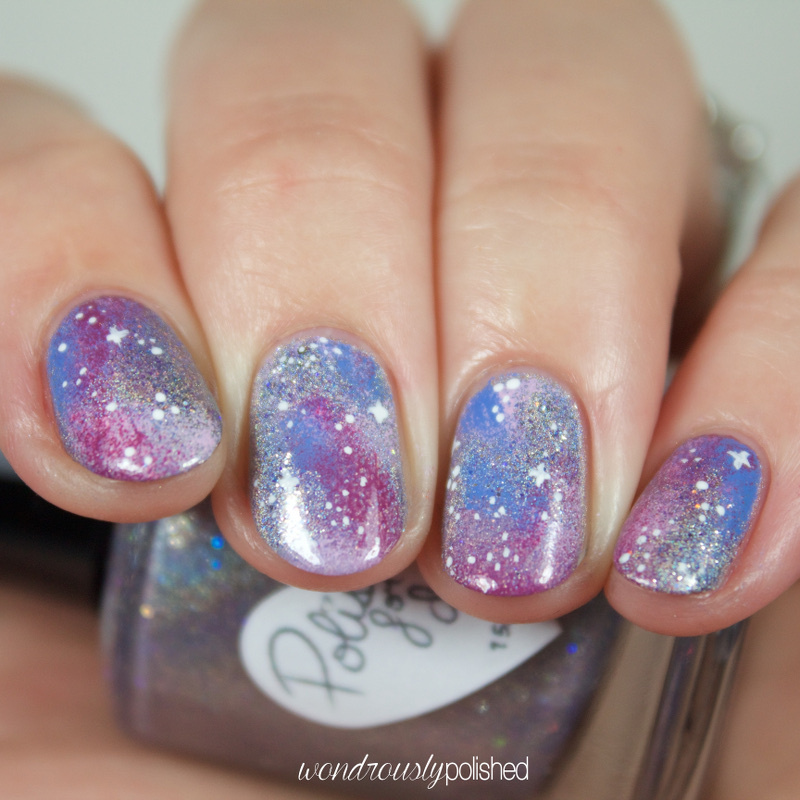 Such a stunning take on a silver polish! It has a slight shift to a baby blue hue and it's really lovely. I was worried that this would show the brushstrokes on application, but it caused no problems at all! Formula was great and shown is 2 easy coats. 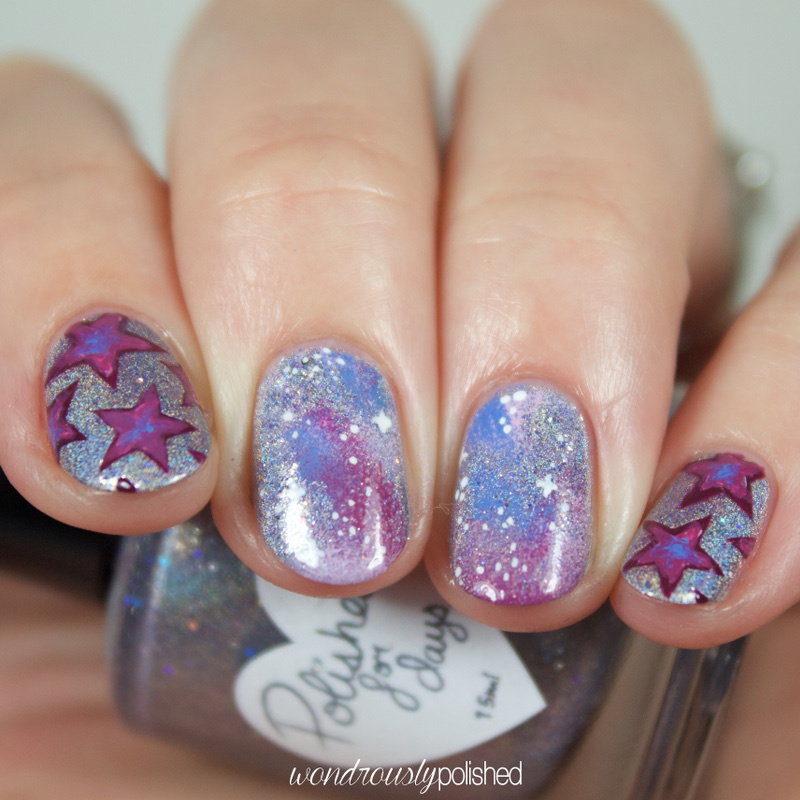 Also included in this month's box is a set of star nail vinyls that were quite easy to work with! I've shown them here. These would also be great to hang on to until the 4th of July! 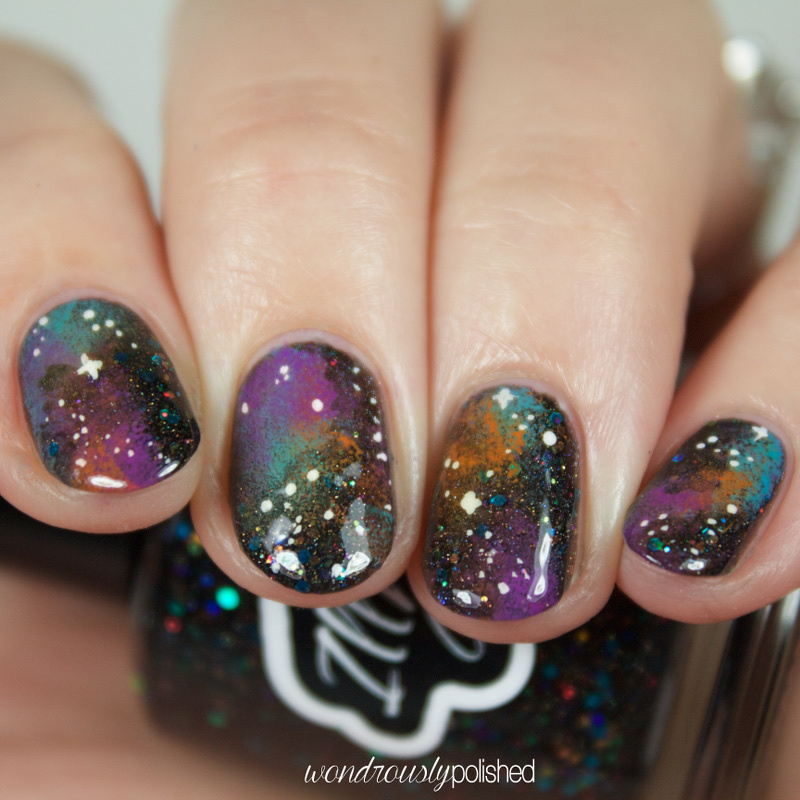 And the full galaxy mani for Out of this World! 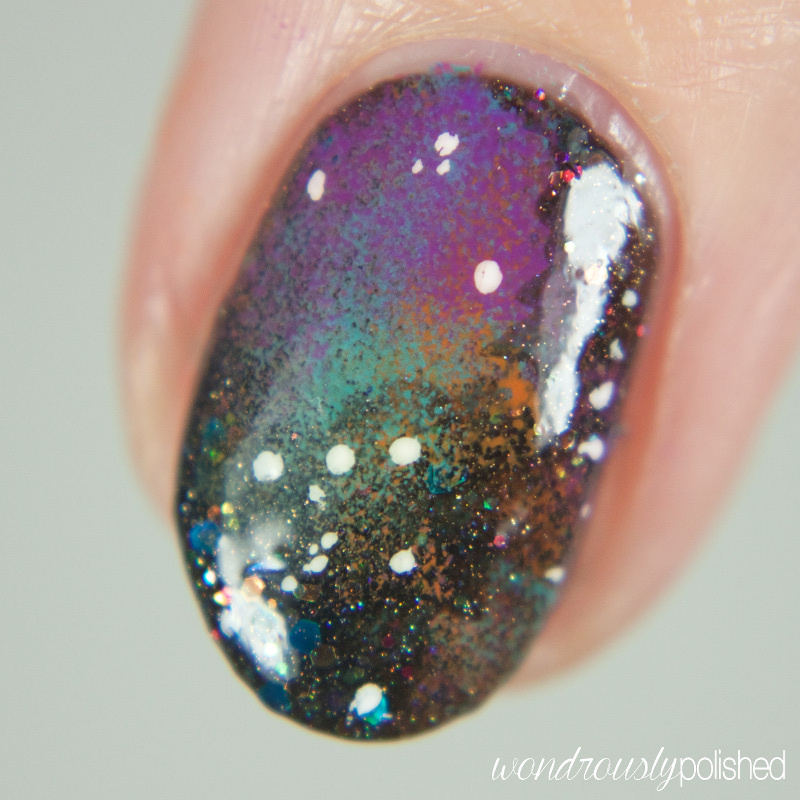 Orion Nebula is the Illyrian Polish shade and is a black based holo packed with teal, orange and purple glitters. I love this combo! It's super unique and definitely not something you see every day! 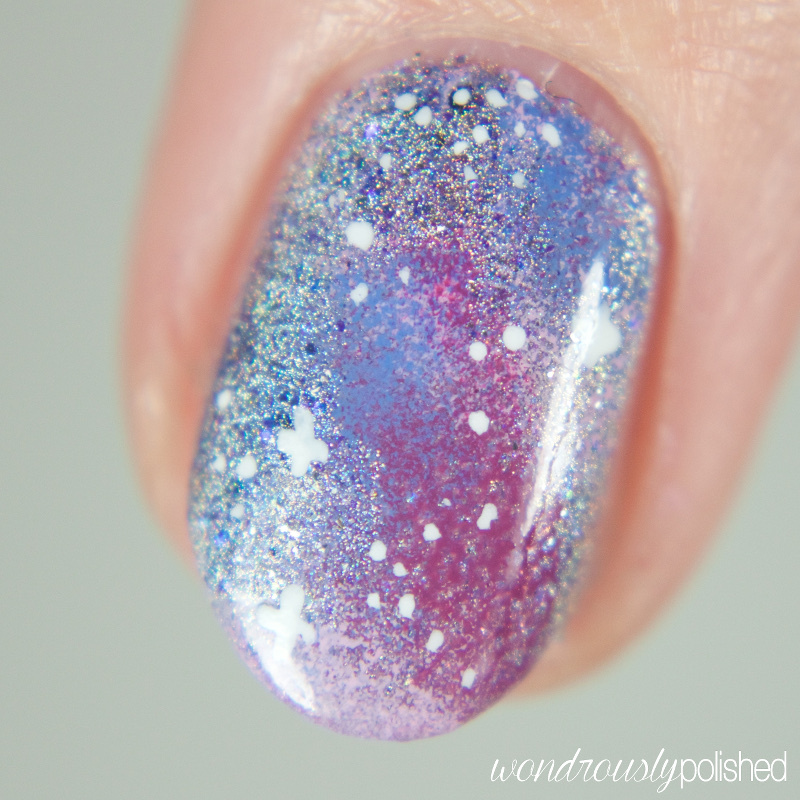 The formula was alright, though the dense glitter made it a bit thick, though still very manageable to work with and shown is 2-3 coats, depending on application. 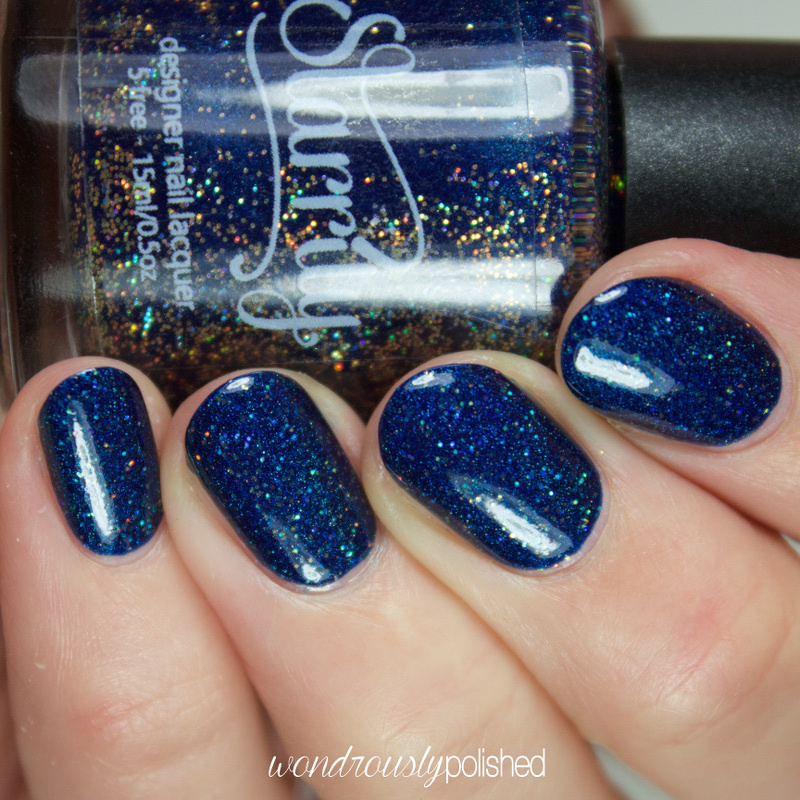 Gravity is the Starrily contribution to this month's box and its an indigo holo base packed with holographic micro-glitters. In a word, this is stunning. I am a sucker for a great indigo blue, but the mix of blue and silver holo is just so pretty. 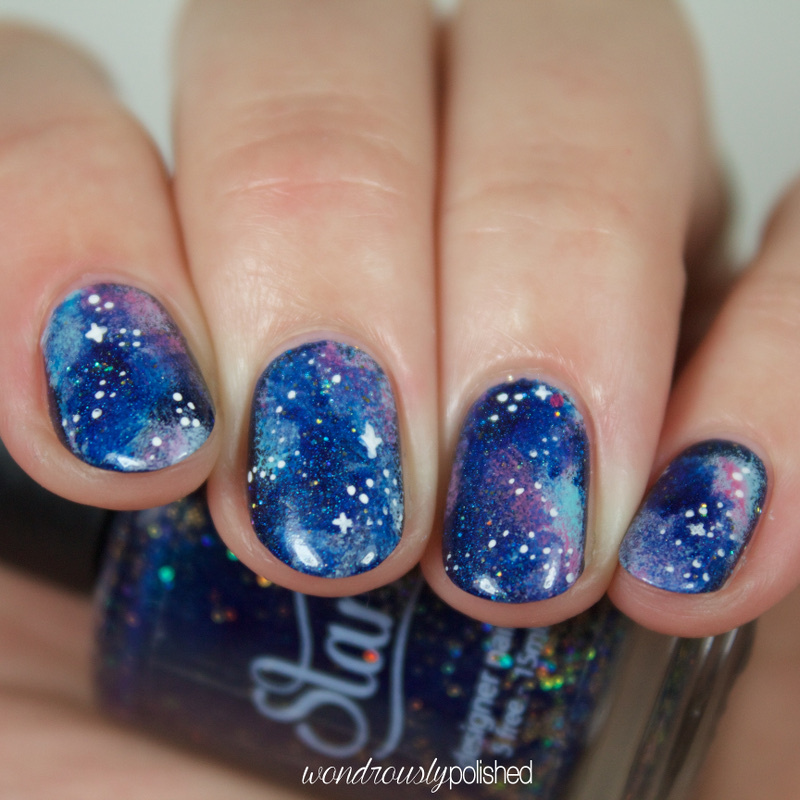 Great for this galaxy themed box. 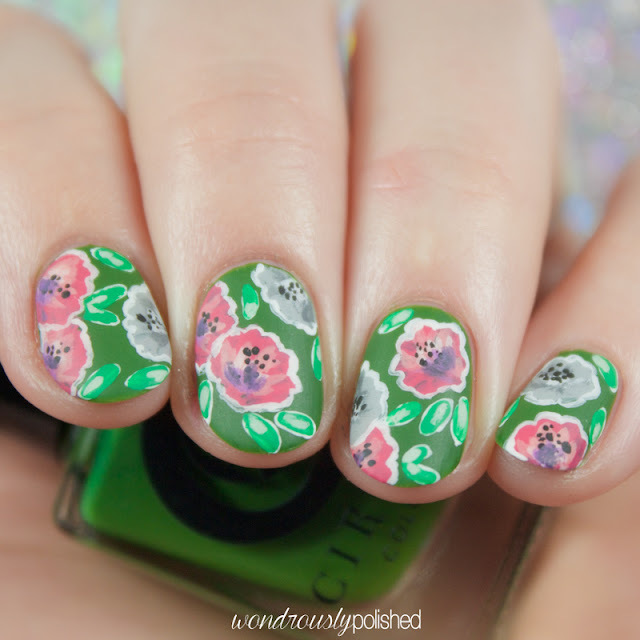 Shown is 2 coats (though it was practically opaque in 1 coat!) and the formula was easy enough to work with, though it was on the thicker side. 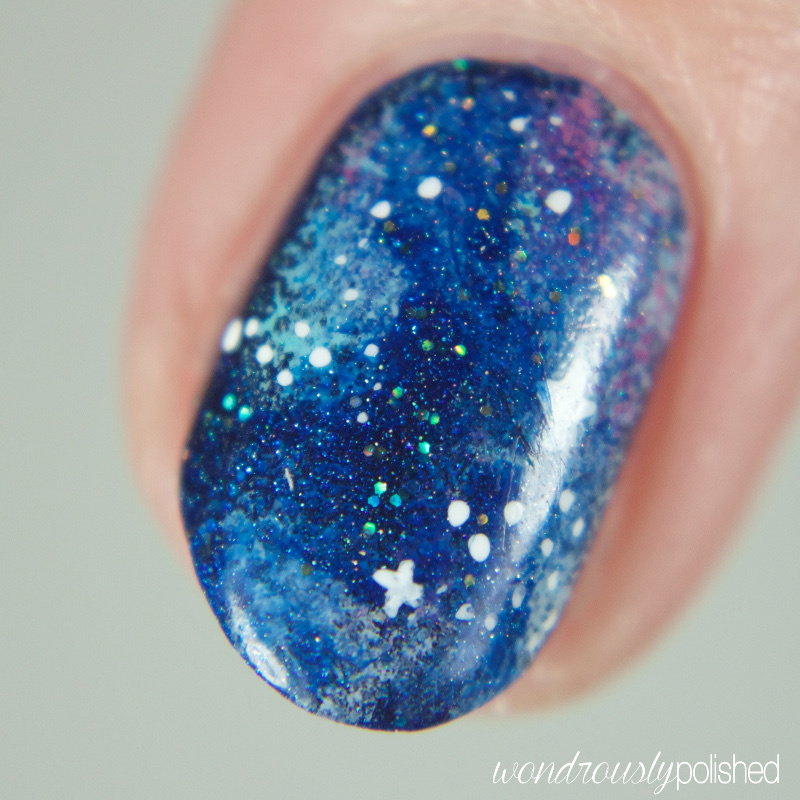 And the final galaxy mani of the box! 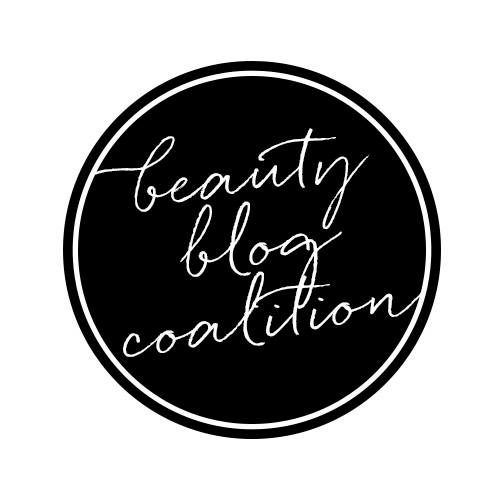 Be sure to follow these talented indie makers and the For the Love of Polish on IGs to make sure you don't miss out on any future releases!